The High Kings met Thomas in Galway while promoting the new Decade album. While performing Irish Pub Song outside Zhivago in Galway, Thomas joined in and the crowd loved it. A video was posted on Facebook and the reaction was viral. (Click here to watch the video). 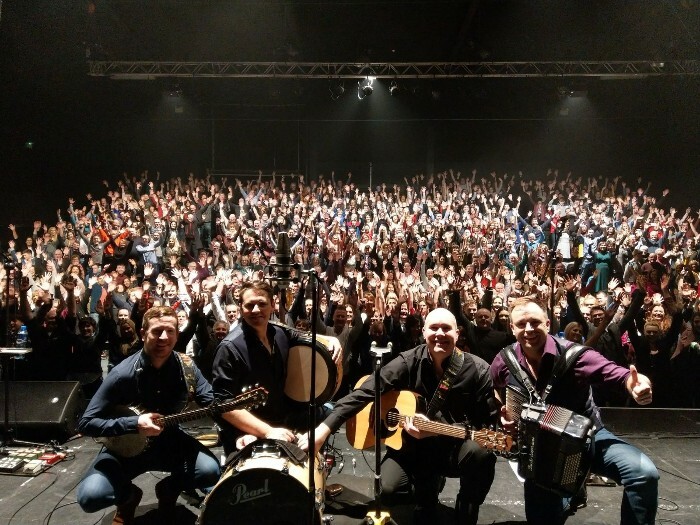 At The High Kings sold out show in the Black Box Theatre, Galway on Saturday night, the Kings invited Thomas to join them for the final song of the set, Whiskey in the Jar. Enjoy.